🎁🎄It’s 12 Days of (Entrepreneur) Christmas! 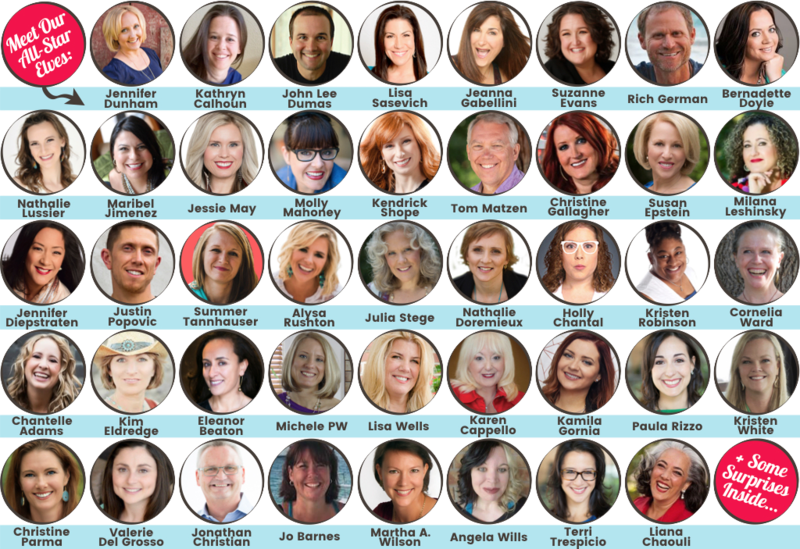 We Are: 40+ successful entrepreneurs & industry influencers sharing free gifts & prizes with you on how to have a biz that generates more income, more clients & less spinning your wheels. 🎁 Win a $3K Speak-to-Sell Scholarship from Lisa Sasevich! 🎁 Win a Done-For-You Facebook Ads Package from Kristen Robinson! 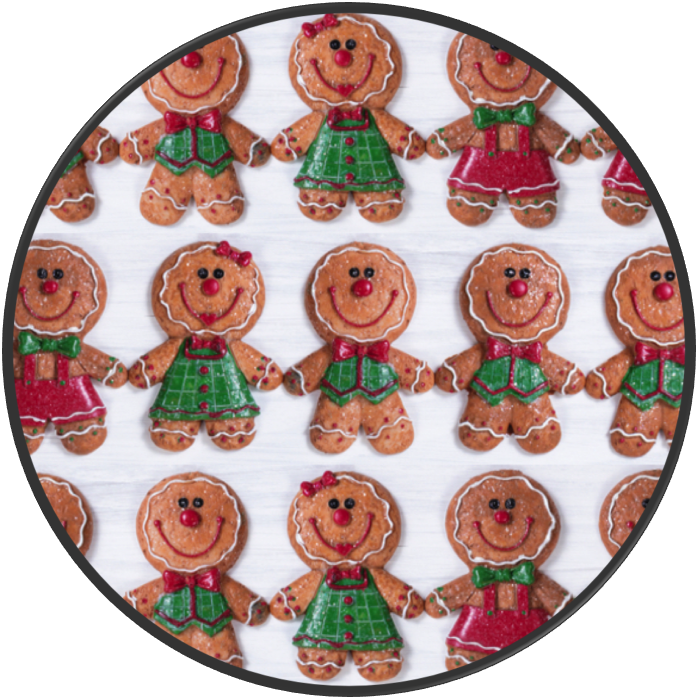 For a Great Cause: Sign up for your free gifts = $1 to Kiva.org & other charities. Kiva is reinventing the way we give: 100% of every dollar lent on Kiva goes to funding microloans to support people looking to create a better future for themselves, their families & their communities – at home & abroad. Lending on Kiva creates a partnership rooted in dignity & allows us to touch more lives with the same dollar. When you join this free event, we contribute $1 to help fund a loan, get repaid, then fund another. A Kiva loan can support a new business, send a woman in a developing country to school, grant access to clean water, the list goes on… & when we lift one heart, we create a ripple effect that can shape a family’s future, create opportunities for others & transform an entire community. Dec. 1-12, get helpful & inspiring once-a-day emails, full access to all gifts & the chance to win over $20K in prizes. Plus, you’ll get extra bonus gifts immediately after signup. Connect with “been there, done that” industry leaders ready to help you create an entrepreneur life with less busywork, more consistent income & clients you love. Not to worry: There’s nothing to buy & you won’t be bombarded with offers of any kind during the event. You simply sign up for the gifts & raffles you want… that’s it! 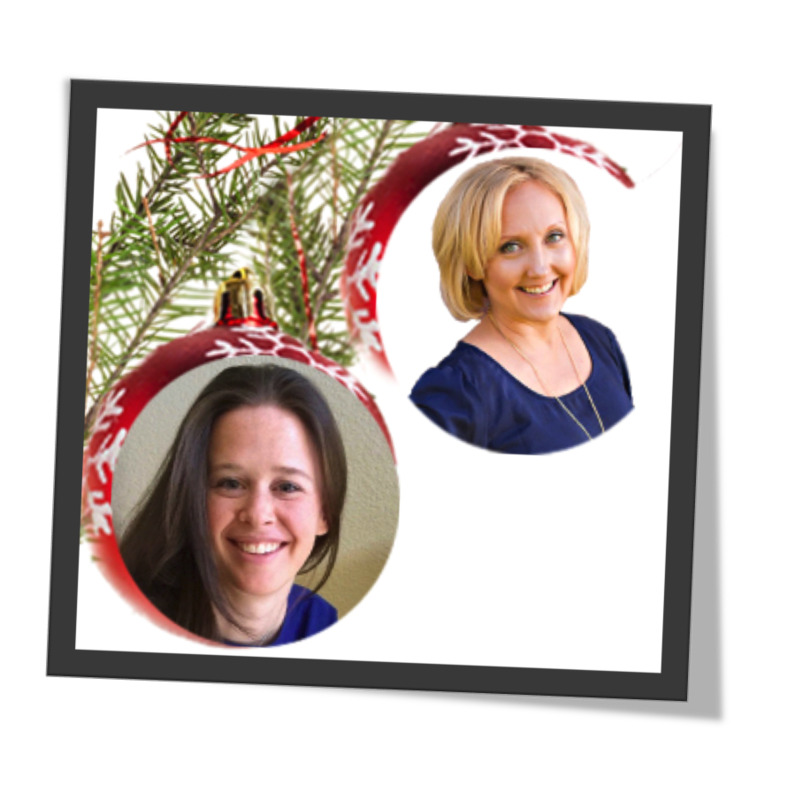 Jennifer Dunham (right) is the Time, Money, and Happiness Matters Expert. She’s on a mission to help successful professionals get out of the hamster wheel & change their overwhelming businesses into exciting careers they love. 🎄 How do I know if this giveaway is right for me? Here’s how to know if the giveaway will benefit you: If you are an entrepreneur, small business owner, network marketer, health practitioner, coach, or author who wants to find strategies to simplify and streamline your to-do list, build your business with more clients and income, and discover more ease, balance and consistency in your business… then this giveaway is designed just for you. Here’s how the giveaway works: After you’ve signed up, you will get access to the 40+ free gifts. All you have to do is sign up for the gifts and enter the raffles that appeal to you and skip the ones you aren’t interested in. 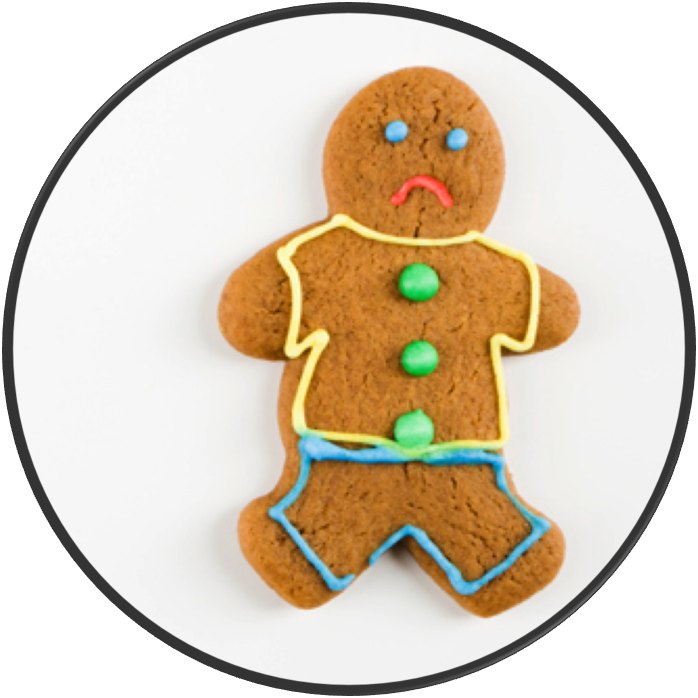 During the event, you won’t be spammed with offers, upsells, or sales pitches of any kind. The contributors we have selected are committed to providing you with incredible value, and what better way to do that than with a free gift? We think it’s the perfect start to an online relationship and we hope you do, too. 🎄 How does this giveaway work exactly? The giveaway officially opens on December 1st, 2018 and closes on December 21st, 2018, with the main gifting dates being December 1-12. When you sign up for the giveaway, you’ll get immediate access to some extra fun, crazy-high-value presents from our top-tier experts. Then, starting on December 1, the giveaway will be officially open and you’ll have full access to all gifts AND we will be promoting our favorites daily throughout the event so you don’t miss anything. For each gift and/or raffle you’re interested in, click the access button next to that gift. A second page will open on the contributor’s website with details on their giveaway gift and a sign-up box. For any prizes being raffled off, winners will be chosen and notified on or about January 7, 2019. 🎄 May I share this giveaway with others? We would be thrilled to have you share the giveaway with any of your entrepreneur or business owner colleagues whom you feel would benefit from receiving dozens of free gifts aimed at improving your work/life balance and business profitability. You can share the URL http://www.bestyearyetgiveaway.com via email or on Facebook, Twitter, or any other social media profiles. Thank you for getting the word out! 🎄 Am I automatically entered to all raffles? How many times can I enter? To help ensure you aren’t overwhelmed with gifts you don’t want or need, you are not automatically entered into any raffles. As you browse through the raffle prizes up for grabs, simply click on any prizes that excite you. A new website hosted by the contributor will open up and you can enter the raffle there. There is no need to enter any raffle more than once. Entering more than once will not improve your chances of winning any raffle prizes. 🎄 How do I know if I've won a raffle prize? First, you must click the access button next to any raffle prize you’re interested in and then submit your info on the next page that opens to enter the raffle drawing. In most cases you will be grabbing that contributor’s free gift and automatically be entered into their raffle. Raffle winners will be chosen and notified on or about January 7th, 2019. 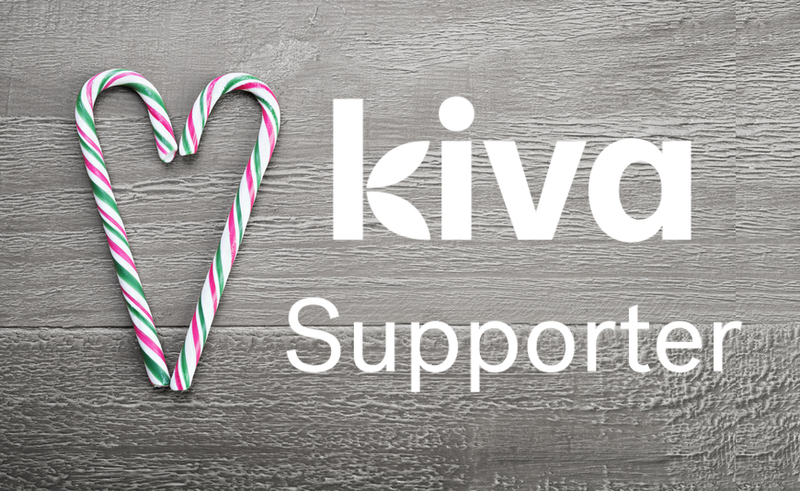 🎄 How am I supporting Kiva.org & other charities? Do I have to pay anything? Nope. When you sign up for the giveaway, we make a note of it on our end. After the giveaway has concluded, we will be donating $1 to Kiva.org & select charities for each individual who signs up for the giveaway. There is no financial contribution required on your part. Our donations are our way of saying “thank you” to you for signing up for the event and giving back to our communities during the holidays. If you’d like to learn more about Kiva (and you should; it’s an awesome organization! ), you can go to http://kiva.org.